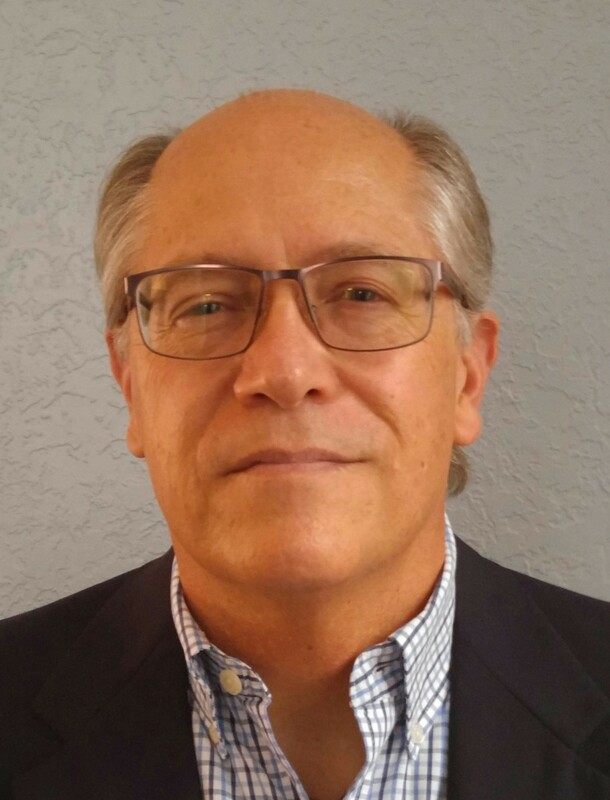 According to a press release published earlier this week, PathogenDx, Inc., is expanding their product portfolio and doing some rebranding. The DNA-based pathogen detection testing provider, headquartered in Scottsdale, Arizona, produces microarray testing platforms for the cannabis, agriculture and food and beverage industries. Their rapid testing technology can reportedly identify and detect 50+ pathogens all in a single test, including common pathogens such as E. Coli, Salmonella and Aspergillus. QuantX – The world’s first quantification microarray test for Cannabis. 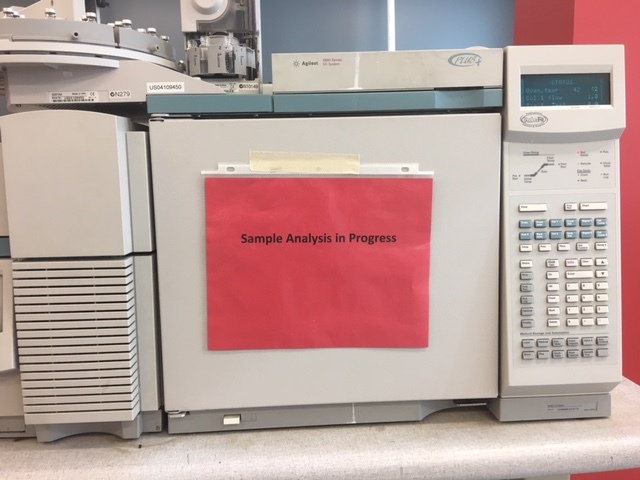 This test measures the microbial load in a sample, while also providing discrimination of the organism content relative to testing standards. Regulatory agencies will now have the opportunity to improve microbial testing standards to ensure safety. 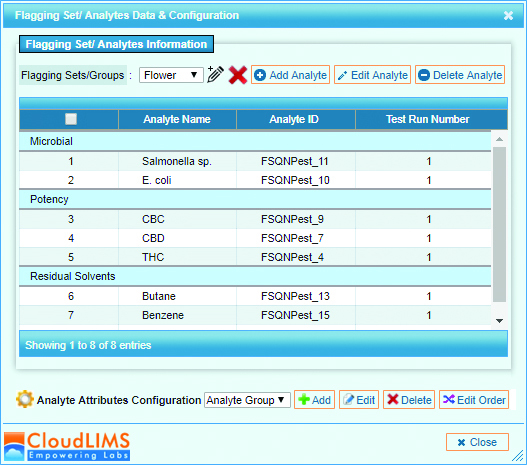 EnviroX – With a single swab, one can identify 50+ species and classes of microbes, with quick-turn results, by simply swabbing a grower/cultivation facility surfaces and vents. Submit, identify, and remediate. It’s that simple to mitigate risk to high-value crops. PhytoX – Coming in Summer of 2019, PathogenDx will introduce the ultra-rapid, easy plant pathogen test to detect powdery mildew, gray mold, mites and other microbial bugs that can become destructive threats to one’s crop. Acquire results in 6 hours to intercept and redress infestation that can destroy one’s yield. This announcement comes as the company is positioning itself to expand far beyond just the cannabis testing arena, diving into the food and beverage and agriculture industries with a much stronger presence. As recently as late February, the company announced purchases of new real estate, expanding their production capacity, as well as announcing a few key hires, expanding their leadership team. 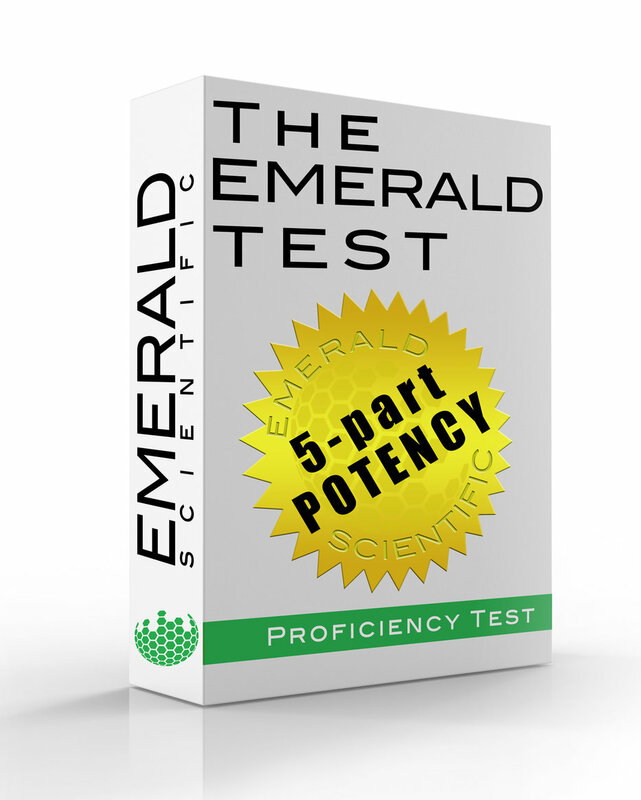 Emerald Scientific recently announced their proficiency-testing program, The Emerald Test, has been approved by Colorado as a third party provider for proficiency testing in licensed cannabis laboratories. The Emerald Test, held twice annually, is an inter-laboratory comparison and proficiency test (ILC-PT), allowing data to be collected pertaining to the performance of laboratories on a national scale. Proficiency testing is designed to measure how accurately laboratories perform and is a critical tool for quality assurance. Colorado requires labs to participate in a proficiency-testing program in order to be certified to conduct required testing on cannabis and cannabis products for safety and quality. According to the press release, Colorado’s Marijuana Enforcement Division, under the Department of Revenue, conducted an evaluation process to determine which applicants could meet the performance standards for regulatory compliance concerning proficiency testing. 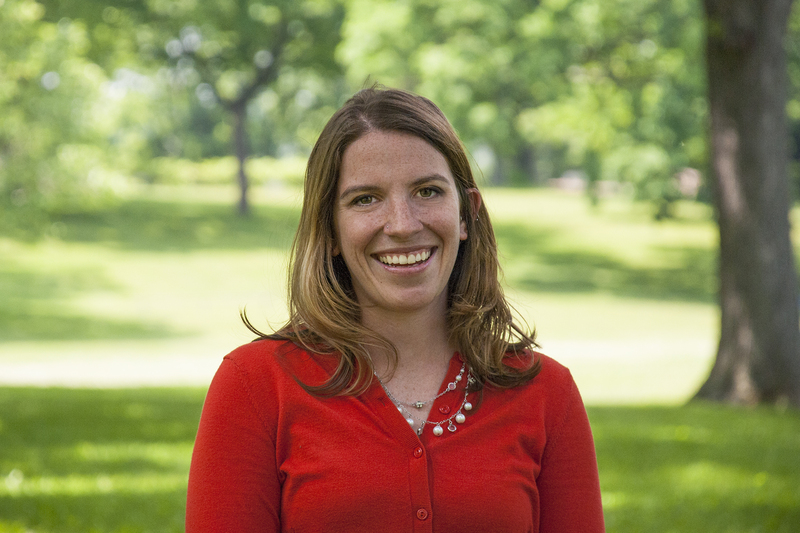 The contract was awarded to Emerald Scientific following this evaluation process. According to Ken Groggel, director of the Proficiency Testing Program at Emerald Scientific, a number of states have recognized the need for independent proficiency testing as a required piece of regulatory compliance. 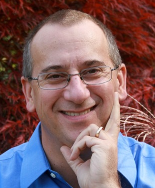 “The Emerald Test Inter-Laboratory Comparison/PT is state approved in Washington & Colorado for cannabis testing laboratory licensure,” says Groggel. “States with cannabis or hemp production, as well as labs in other countries are now actively participating in the Emerald Test as a tool for quality improvement, efficiency upgrades and product safety.” He says the Colorado Marijuana Enforcement Division has contracted with Emerald Scientific to provide third party PT programs for microbial contaminants, residual solvents and pesticides. Beginning in 2014, The Emerald Test has been offered twice a year and, in 2017, over 50 labs participated from 14 states and 2 countries. 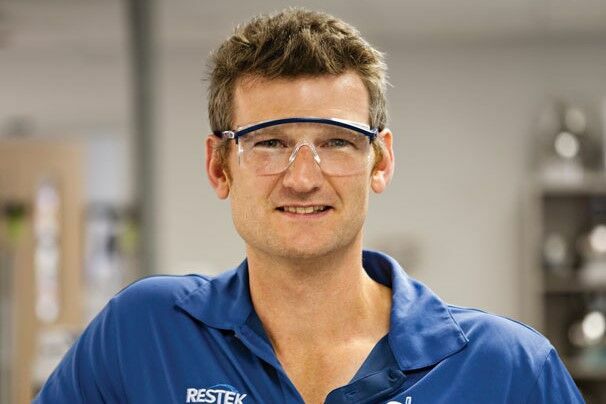 “Laboratories that have enrolled more than once have seen significant improvement in their results, an indicator of improved performance for industry customers,” says Groggel. As new states legalize cannabis and develop consumer protection regulations, proficiency testing programs can help labs demonstrate their commitment to responsible and accurate testing. “When PT results show the cannabis testing lab is capable it is up to the government to ensure accountability for performance on behalf of all its citizens,” says Groggel. Labs can enroll starting on September 25th in the Fall 2017 Emerald Test ILC/PT. Edibles and vape pens are rapidly becoming a sizable portion of the cannabis industry as various methods of consumption popularize beyond just smoking dried flower. These products are produced using cannabis concentrates, which come in the form of oils, waxes or shatter (figure 1). Once the cannabinoids and terpenes are removed from the plant material using solvents, the solvent is evaporated leaving behind the product. Extraction solvents are difficult to remove in the low percent range so the final product is tested to ensure leftover solvents are at safe levels. While carbon dioxide and butane are most commonly used, consumer concern over other more toxic residual solvents has led to regulation of acceptable limits. For instance, in Colorado the Department of Public Health and Environment (CDPHE) updated the state’s acceptable limits of residual solvents on January 1st, 2017. Figure 1: Shatter can be melted and dissolved in a high molecular weight solvent for headspace analysis (HS). Photo Courtesy of Cal-Green Solutions. 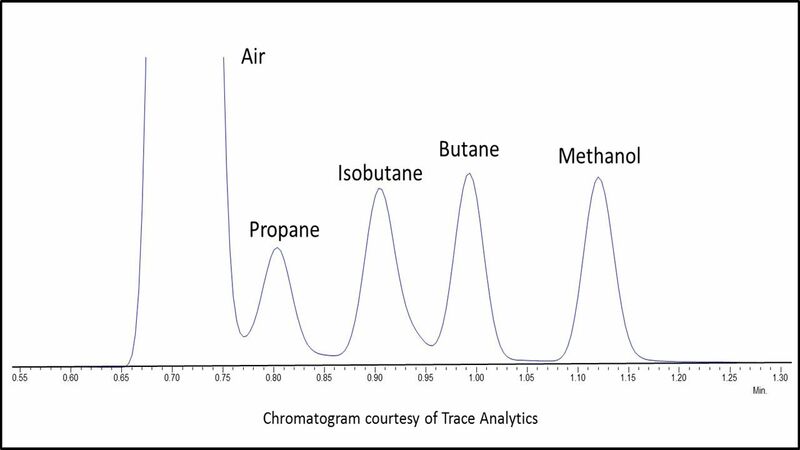 Since the most suitable solvents are volatile, these compounds are not amenable to HPLC methods and are best suited to gas chromatography (GC) using a thick stationary phase capable of adequate retention and resolution of butanes from other target compounds. Headspace (HS) is the most common analytical technique for efficiently removing the residual solvents from the complex cannabis extract matrix. 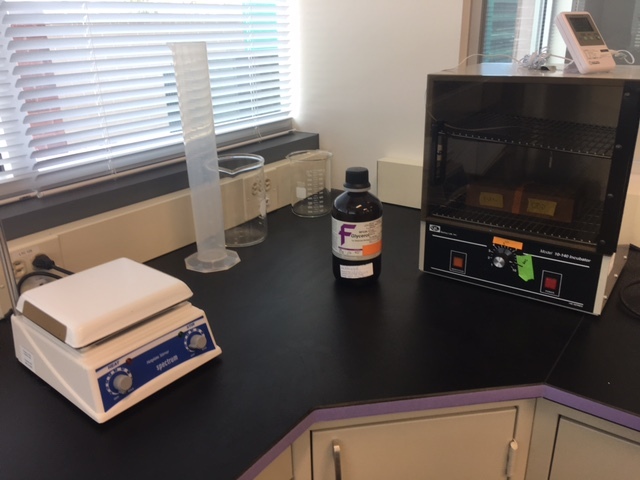 Concentrates are weighed out into a headspace vial and are dissolved in a high molecular weight solvent such as dimethylformamide (DMF) or 1,3-dimethyl-3-imidazolidinone (DMI). The sealed headspace vial is heated until a stable equilibrium between the gas phase and the liquid phase occurs inside the vial. One milliliter of gas is transferred from the vial to the gas chromatograph for analysis. Another approach is full evaporation technique (FET), which involves a small amount of sample sealed in a headspace vial creating a single-phase gas system. More work is required to validate this technique as a quantitative method. The flame ionization detector (FID) is selective because it only responds to materials that ionize in an air/hydrogen flame, however, this condition covers a broad range of compounds. When an organic compound enters the flame; the large increase in ions produced is measured as a positive signal. Since the response is proportional to the number of carbon atoms introduced into the flame, an FID is considered a quantitative counter of carbon atoms burned. 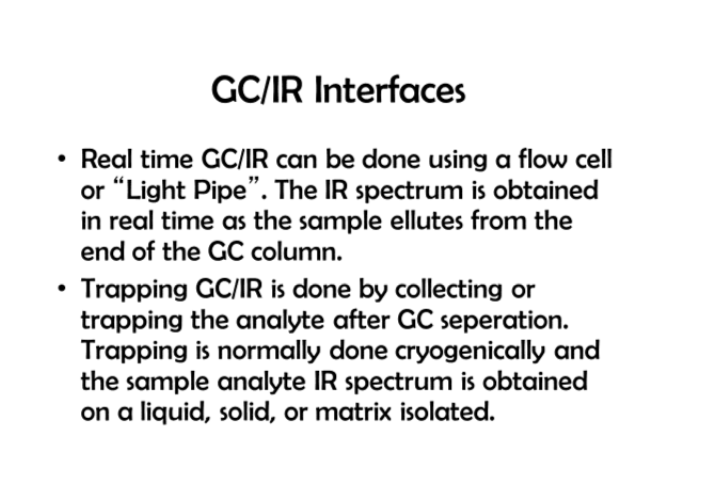 There are a variety of advantages to using this detector such as, ease of use, stability, and the largest linear dynamic range of the commonly available GC detectors. The FID covers a calibration of nearly 5 orders of magnitude. FIDs are inexpensive to purchase and to operate. Maintenance is generally no more complex than changing jets and ensuring proper gas flows to the detector. Because of the stability of this detector internal standards are not required and sensitivity is adequate for meeting the acceptable reporting limits. 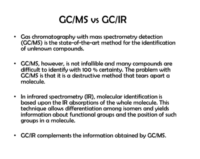 However, FID is unable to confirm compounds and identification is only based on retention time. Early eluting analytes have a higher probability of interferences from matrix (Figure 2). 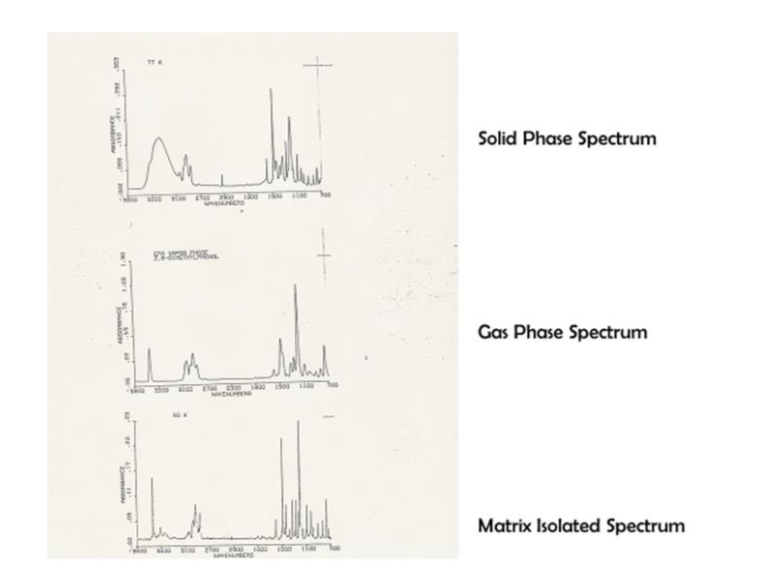 Figure 2: Resolution of early eluting compounds by headspace – flame ionization detection (HS-FID). Chromatogram Courtesy of Trace Analytics. Mass Spectrometry (MS) provides unique spectral information for accurately identifying components eluting from the capillary column. As a compound exits the column it collides with high-energy electrons destabilizing the valence shell electrons of the analyte and it is broken into structurally significant charged fragments. These fragments are separated by their mass-to-charge ratios in the analyzer to produce a spectral pattern unique to the compound. 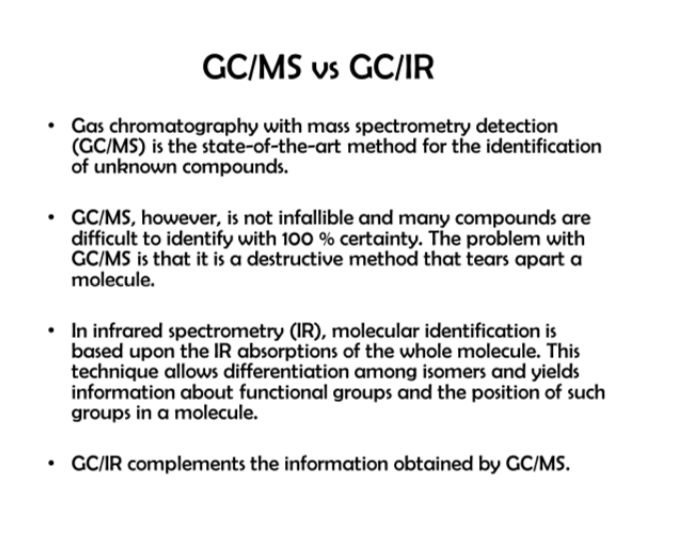 To confirm the identity of the compound the spectral fingerprint is matched to a library of known spectra. Using the spectral patterns the appropriate masses for quantification can be chosen. Compounds with higher molecular weight fragments are easier to detect and identify for instance benzene (m/z 78), toluene (m/z 91) and the xylenes (m/z 106), whereas low mass fragments such as propane (m/z 29), methanol (m/z 31) and butane (m/z 43) are more difficult and may elute with matrix that matches these ions. Several disadvantages of mass spectrometers are the cost of equipment, cost to operate and complexity. In addition, these detectors are less stable and require an internal standard and have a limited dynamic range, which can lead to compound saturation. Regardless of your method of detection, optimized HS and GC conditions are essential to properly resolve your target analytes and achieve the required detection limits. 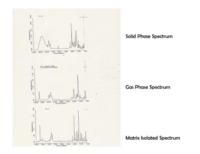 While MS may differentiate overlapping peaks the chances of interference of low molecular weight fragments necessitates resolution of target analytes chromatographically. FID requires excellent resolution for accurate identification and quantification. Almost as soon as cannabis became recreationally legal, the public started to ask questions about the safety of products being offered by dispensaries – especially in terms of pesticide contamination. As we can see from the multiple recalls of product there is a big problem with pesticides in cannabis that could pose a danger to consumers. While The Nerd Perspective is grounded firmly in science and fact, the purpose of this column is to share my insights into the cannabis industry based on my years of experience with multiple regulated industries with the goal of helping the cannabis industry mature using lessons learned from other established markets. 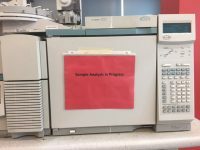 In this article, we’ll take a look at some unique challenges facing cannabis testing labs, what they’re doing to respond to the challenges, and how that can affect the cannabis industry as a whole. 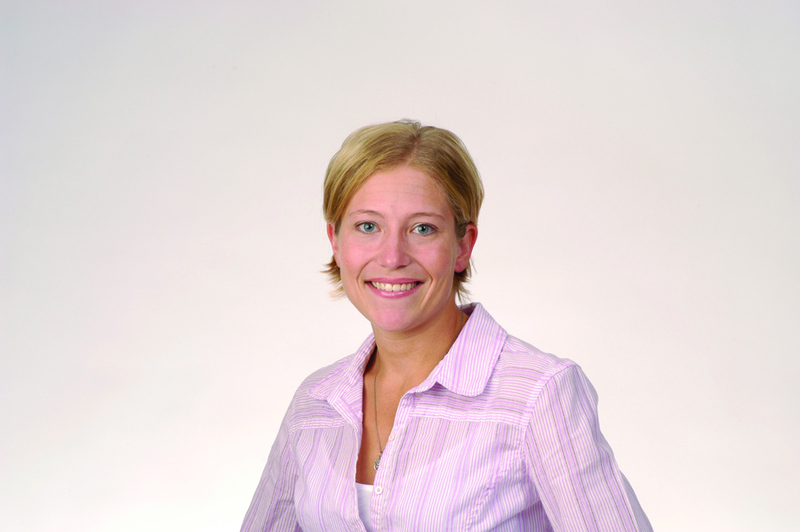 Over the past several years, laboratories have quickly ‘grown up’ in terms of technology and expertise, improving their methods for pesticide detection to improve data quality and lower detection limits, which ultimately ensures a safer product by improving identification of contaminated product. But even though cannabis laboratories are maturing, they’re maturing in an environment far different than labs from regulated industry, like food laboratories. Food safety testing laboratories have been governmentally regulated and funded from almost the very beginning, allowing them some financial breathing room to set up their operation, and ensuring they won’t be penalized for failing samples. In contrast, testing fees for cannabis labs are paid for by growers and producers – many of whom are just starting their own business and short of cash. This creates fierce competition between cannabis laboratories in terms of testing cost and turnaround time. One similarity that the cannabis industry shares with the food industry is consumer and regulatory demand for safe product. This demand requires laboratories to invest in instrumentation and personnel to ensure generation of quality data. In short, the two major demands placed on cannabis laboratories are low cost and scientific excellence. As a chemist with years of experience, scientific excellence isn’t cheap, thus cannabis laboratories are stuck between a rock and a hard place and are feeling the squeeze. One way for high-quality laboratories to win business is to tout their investment in technology and the sophistication of their methods; they’re selling their science, a practice I stand behind completely. However, due to the fierce competition between labs, some laboratories have oversold their science by using terms like ‘lethal’ or ‘toxic’ juxtaposed with vague statements regarding the discovery of pesticides in cannabis using the highly technical methods that they offer. This juxtaposition can then be reinforced by overstating the importance of ultra-low detection levels outside of any regulatory context. For example, a claim stating that detecting pesticides at the parts per trillion level (ppt) will better ensure consumer safety than methods run by other labs that only detect pesticides at concentrations at parts per billion (ppb) concentrations is a potentially dangerous claim in that it could cause future problems for the cannabis industry as a whole. In short, while accurately identifying contaminated samples versus clean samples is indeed a good thing, sometimes less isn’t more, bringing us to the second half of the title of this article. In my last article, I illustrated the concept of the trace concentrations laboratories detect, finishing up with putting the concept of ppb into perspective. I wasn’t even going to try to illustrate parts per trillion. Parts per trillion is one thousand times less concentrated than parts per billion. To put ppt into perspective, we can’t work with water like I did in my previous article; we have to channel Neil deGrasse Tyson. 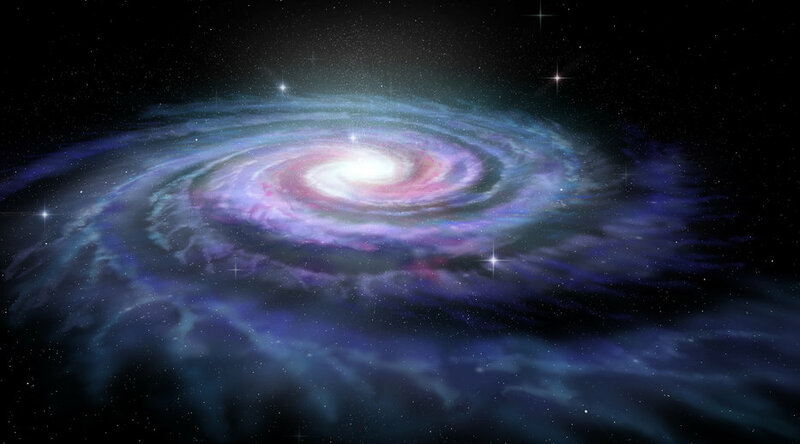 The Milky Way galaxy contains about 100 billion stars, and our sun is one of them. Our lonely sun, in the vastness of our galaxy, where light itself takes 100,000 years to traverse, represents a concentration of 10 ppt. On the surface, detecting galactically-low levels of contaminants sounds wonderful. Pesticides are indeed lethal chemicals, and their byproducts are often lethal or carcinogenic as well. From the consumer perspective, we want everything we put in our bodies free of harmful chemicals. Looking at consumer products from The Nerd Perspective, however, the previous sentence changes quite a bit. To be clear, nobody – nerds included – wants food or medicine that will poison them. But let’s explore the gap between ‘poison’ and ‘reality’, and why that gap matters. In reality, according to a study conducted by the FDA in 2011, roughly 37.5% of the food we consume every day – including meat, fish, and grains – is contaminated with pesticides. Is that a good thing? No, of course it isn’t. It’s not ideal to put anything into our bodies that has been contaminated with the byproducts of human habitation. However, the FDA, EPA, and other governmental agencies have worked for decades on toxicological, ecological, and environmental studies devoted to determining what levels of these toxic chemicals actually have the potential to cause harm to humans. Rather than discuss whether or not any level is acceptable, let’s take it on principle that we won’t drop over dead from a lethal dose of pesticides after eating a salad and instead take a look at the levels the FDA deem ‘acceptable’ for food products. In their 2011 study, the FDA states that “Tolerance levels generally range from 0.1 to 50 parts per million (ppm). Residues present at 0.01 ppm and above are usually measurable; however, for individual pesticides, this limit may range from 0.005 to 1 ppm.” Putting those terms into parts per trillion means that most tolerable levels range from 100,000 to 50,000,000 ppt and the lower limit of ‘usually measurable’ is 10,000 ppt. For the food we eat and feed to our children, levels in parts per trillion are not even discussed because they’re not relevant. A specific example of this is arsenic. Everyone knows arsenic is very toxic. However, trace levels of arsenic naturally occur in the environment, and until 2004, arsenic was widely used to protect pressure-treated wood from termite damage. 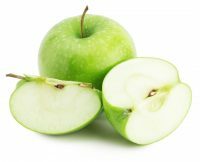 Because of the use of arsenic on wood and other arsenic containing pesticides, much of our soil and water now contains some arsenic, which ends up in apples and other produce. These apples get turned into juice, which is freely given to toddlers everywhere. Why, then, has there not an infant mortality catastrophe? Because even though the arsenic was there (and still is), it wasn’t present at levels that were harmful. In 2013, the FDA published draft guidance stating that the permissible level of arsenic in apple juice was 10 parts per billion (ppb) – 10,000 parts per trillion. None of us would think twice about offering apple juice to our child, and we don’t have to…because the dose makes the poison. How Does This Relate to the Cannabis Industry? The concept of permissible exposure levels (a.k.a. 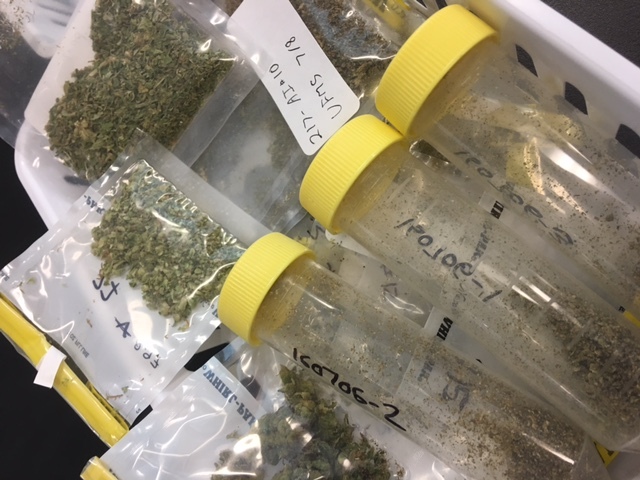 maximum residue limits) is an important concept that’s understood by laboratories, but is not always considered by the public and the regulators tasked with ensuring cannabis consumer safety. As scientists, it is our job not to misrepresent the impact of our methods or the danger of cannabis contaminants. We cannot understate the danger of these toxins, nor should we overstate their danger. In overstating the danger of these toxins, we indirectly pressure regulators to establish ridiculously low limits for contaminants. Lower limits always require the use of newer testing technologies, higher levels of technical expertise, and more complicated methods. All of this translates to increased testing costs – costs that are then passed on to growers, producers, and consumers. I don’t envy the regulators in the cannabis industry. Like the labs in the cannabis industry, they’re also stuck between a rock and a hard place: stuck between consumers demanding a safe product and producers demanding low-cost testing. As scientists, let’s help them out by focusing our discussion on the real consumer safety issues that are present in this market.